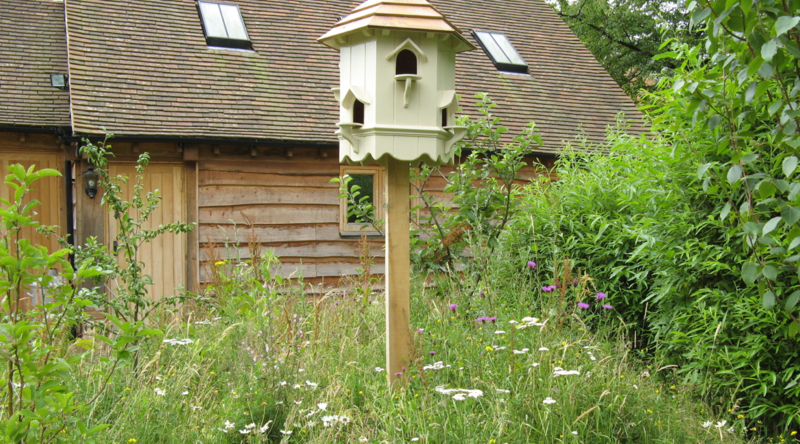 We blended innovative features with a less structured format to give this family meadow garden year-round interest. 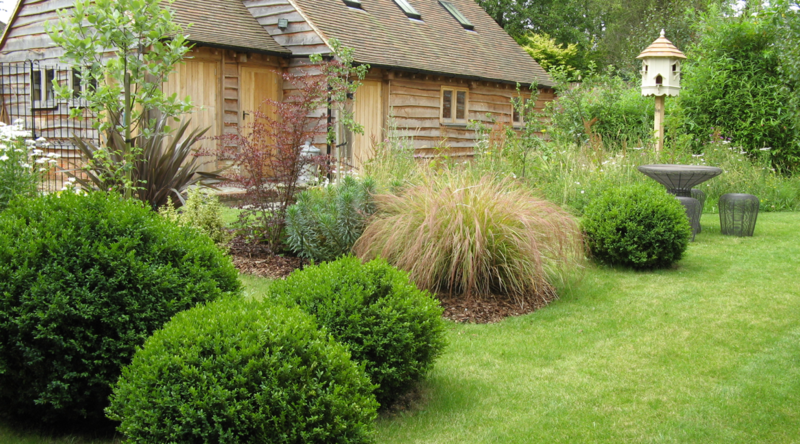 Mown paths meander through wilder areas seeded with meadow grasses, flowers and spring bulbs. 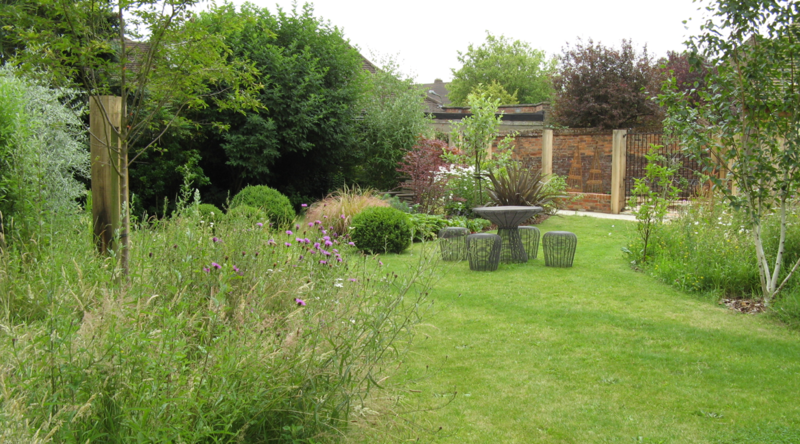 After just one season, this area of the garden is teeming with butterflies and other insects. 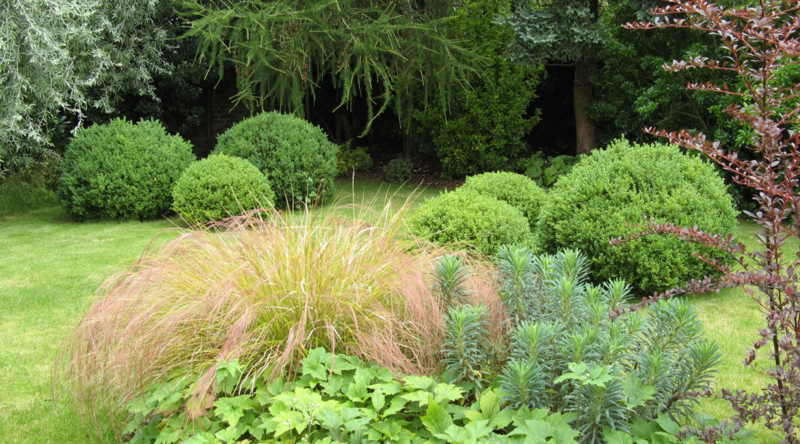 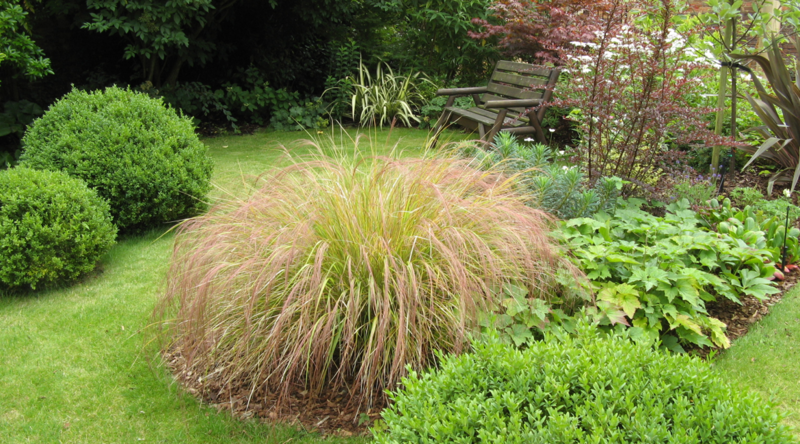 Groups of large box ball plants sit in animated groups, creating structural interest throughout the year. 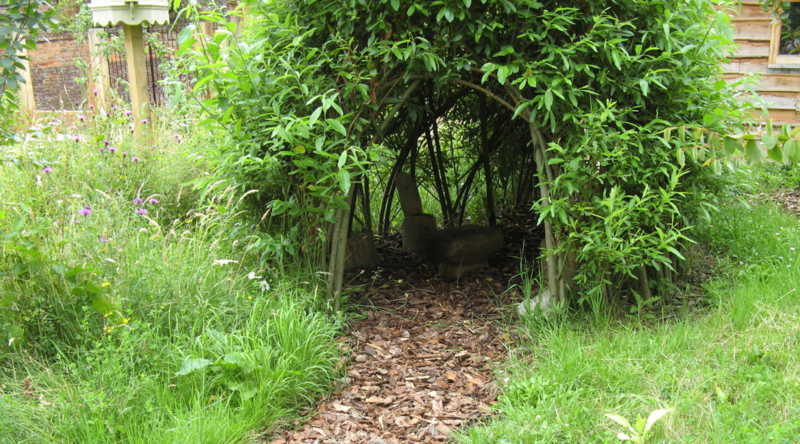 We planted fruit trees in the meadow grass and, to the children’s delight, created a living willow wigwam and tunnel to play in. 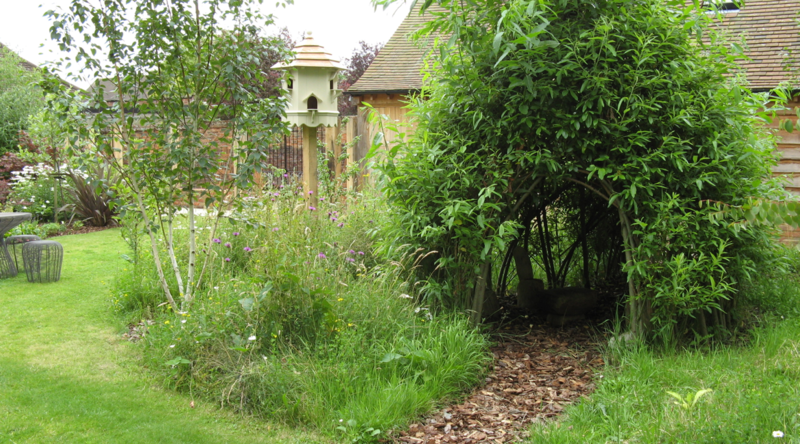 There is also a kitchen garden accessed via bespoke metal gates.